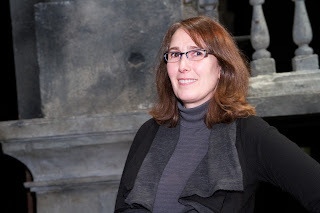 Kitty Kavanaugh has been working as a Seattle Opera scenic artist since 1992. She thrives on the collaborative nature of her artistry, which includes her personal interest in sculpture, and she admits that her years with the company have made her an opera lover. We spoke in early January, when the artists were getting started on the Orphée et Eurydice set, transforming the image on a 9-by-11-inch sheet of paper to a massive 70-by-35-foot piece of fabric. 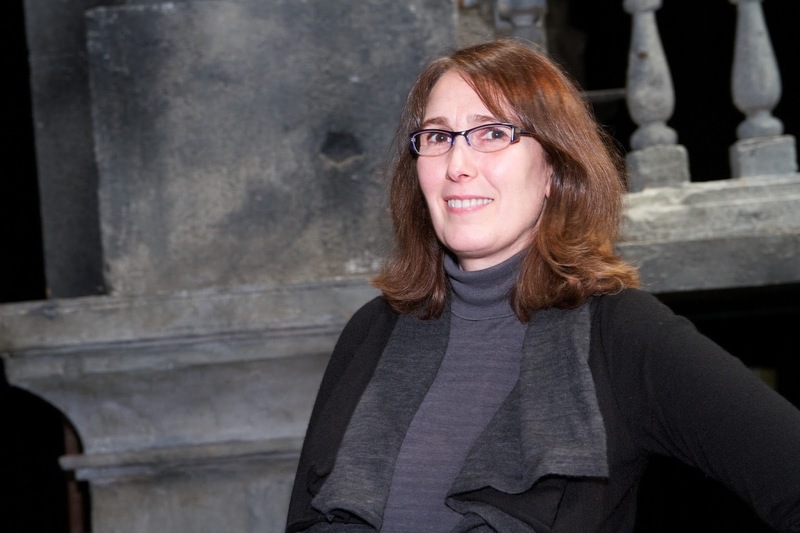 What are your responsibilities as Seattle Opera’s Master Scenic Artist? I’m in charge of mak­ing sure that the scenic art, as designed by the designers, gets made—all within the budget. I hire the crew, get all the materials, and plan our approach to the projects. I also keep in touch with the designer; sometimes we need to change the design so it fits within our budget. I love getting out there and being hands on. But I love the managing part too. As long as I get a mix of the two, I’m pretty happy. Seattle Opera’s Scenic Studios is located in Renton. What do you value about this space? We have a great space for making scenery. Because it’s about 40 feet high, we can stand up most of our scenery and work on it from lifts and ladders, or we can lay it down on its back and walk on it because we have relatively uninterrupted floor space. And we have all the tools we could ever want. How does the process—going from a designer’s small scale model to a large scale set—work? Even if a designer is very, very clear and gives you a paint elevation and says, “I want you to do this exactly like this,” there is a lot of interpretation involved. Some designs would be in danger of being not very interesting if we didn’t interpret them for the opera stage. For instance, a wall that’s painted one color—as beautiful as the color may be—may be a little dead onstage. So we do a color separation technique that helps the surface vibrate and become a lot more interesting to the eye. You wouldn’t necessarily perceive that from the audience, but up close you’d see that it’s maybe three or five colors that from a distance appears to be a single color. The audience is looking at each scene for so long that you really do need to give the eye a little something to hang on to. A little bit of tooth. Which set has been the most challenging? The Ring. Every set was like building a whole opera all by itself. I was actually pretty terri­fied when we set out to do this project, and I really had to talk myself down from panicking. We spent two solid years building that set, one piece at a time. It was such a thrill to work on. Doing nature as close to real as we could was an interesting challenge, because we had to analyze what it is that makes nature look real. There’s a lot of chaos in nature; if you don’t get that in there, it doesn’t quite look real. Your husband, Rick Araluce, also works in the Scenic Studios. Did you meet him here? Yes. One of those no-nos. But it works out well. You must not have to ask “how was your day,” at the end of the day. You’re right, though we’re good at keeping things separate. I make sure we’re working on separate projects in a show. Do you have projects that you do outside of Seattle Opera? I often collaborate with Saint James Cathedral’s music director to provide scenic elements for them. For their Great Music for Great Cathedrals performances I made an 18-foot puppet of Saint James. They call him Big Jim. He was modeled after medieval statu­ary carving, and he was the kind of puppet that they probably used on the pilgrimage to the Cathedral’s sister church in Spain. Sometimes the Scenic Studios builds scenery for other companies. What were some recent projects? We built a Cenerentola set for Portland Opera in 2007, a Bluebeard for Seattle Symphony in 2009, and we created the recent Avatar exhibit at the Experience Music Project. Have you become an opera fan? Oh, heck yeah. When I started here, I wanted to like it, but it just wasn’t happening. It was a couple of years, actually, of going to rehearsals and thinking, “Hmmm, it’s interesting, but it’s not for me.” Then I saw La traviata, and I decided I would do things differently. Instead of reading all the supertitles and following everything in detail, I decided to just listen to the singing. I found myself weeping, and I realized, “Oh, my gosh, I guess I do like it!” I would say I love it now, and I never expected that. This Staff Chat first appeared in Seattle Opera’s program for Orphée et Eurydice in February 2012.